The spring passage of Whimbrel is in full swing in Cornwall at the moment. 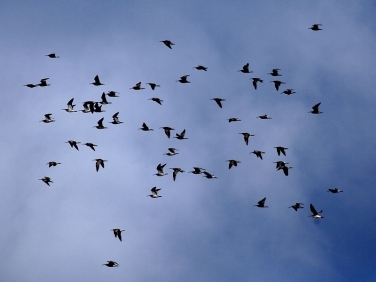 A flock of over 60 birds has been seen during the last week circulating between Pendennis Point and Rosemullion Head. These images were taken of the birds on Falmouth’s Castle beach moments before three paddle boarders frightened them off their high water mark. 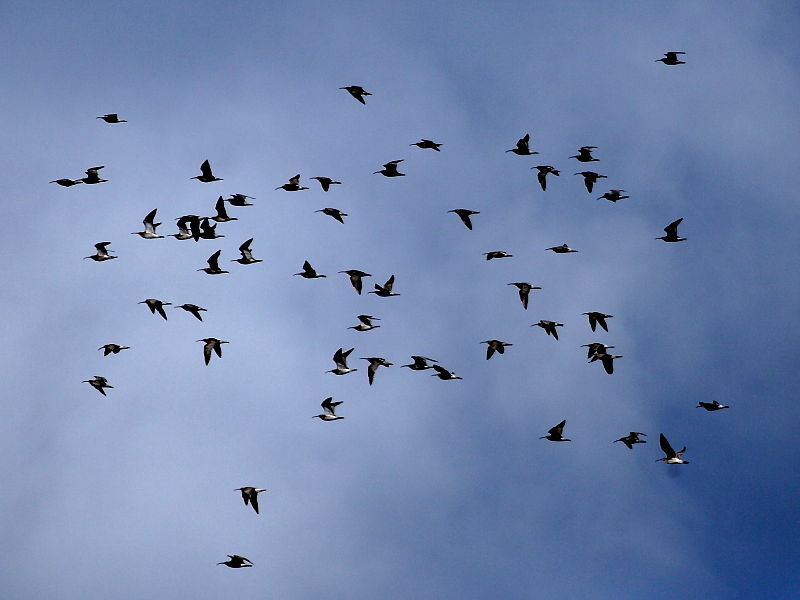 The flock then circled for a while before disappearing up the Fal estuary which is in the opposite direction to where they have headed to roost over the last few evenings. 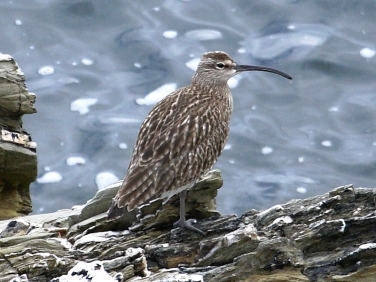 Insight into Whimbrel (Numenius phaeopu): a large wader seen all around the coast of the UK in the spring and late summer on passage between their wintering sites in North Africa and breeding sites in Northern Europe, which include the far north of Scotland, the Shetland Islands and Orkney Islands. It is normally easily identified from the larger Curlew by it’s shorter bill and central crown stripe. However, it can easily be confused with juvenile Curlews which have not developed their full size bills. The calls of these two species are also distinctly different.